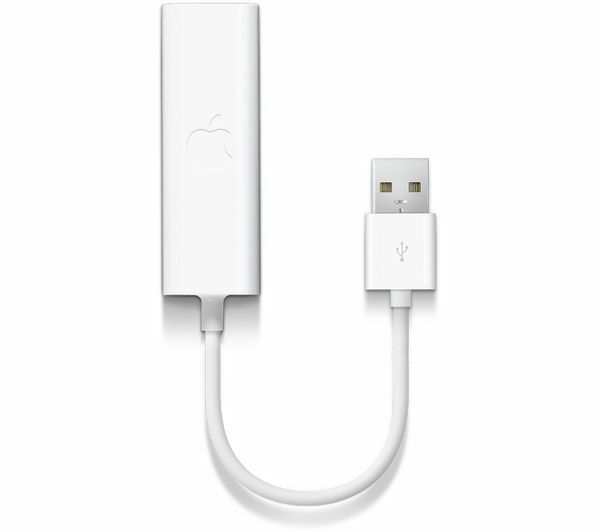 Turn one of your USB ports into an Ethernet RJ-45 connector with the Apple MC704ZM/A USB Ethernet Adapter. The MC704ZM/A USB Ethernet Adapter is particularly relevant if you own a MacBook Air, supporting networking speeds up to 10/100BASE-T.
Set yourself up for wired networking with the MC704ZM/A USB Ethernet Adapter! New puppy chewed the wires on the last one and then wouldn't work, so had to replace!